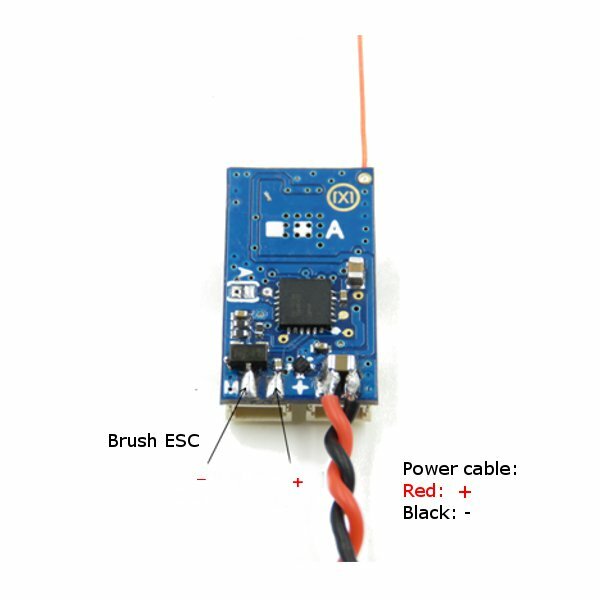 Bulit-in 2A brushed ESC,supported external brushless ESC, no need to program. The receiver signal can stay stable even if the voltage is 2.5V. 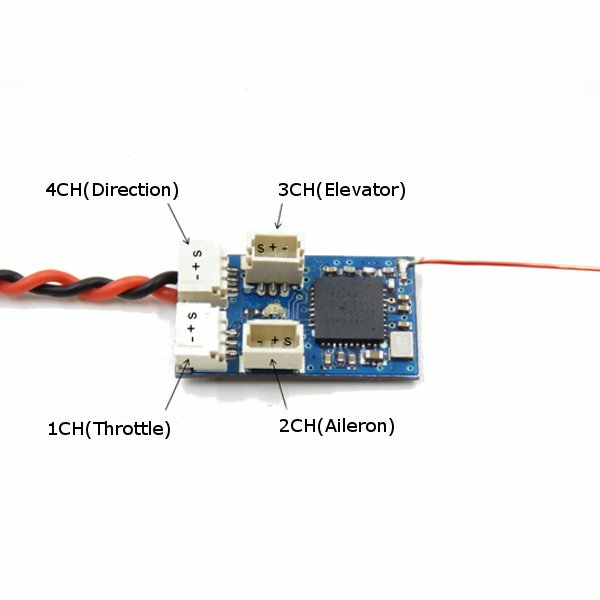 Improve signal interruption problem when micro receiver using a conventional 1S brushless motor. 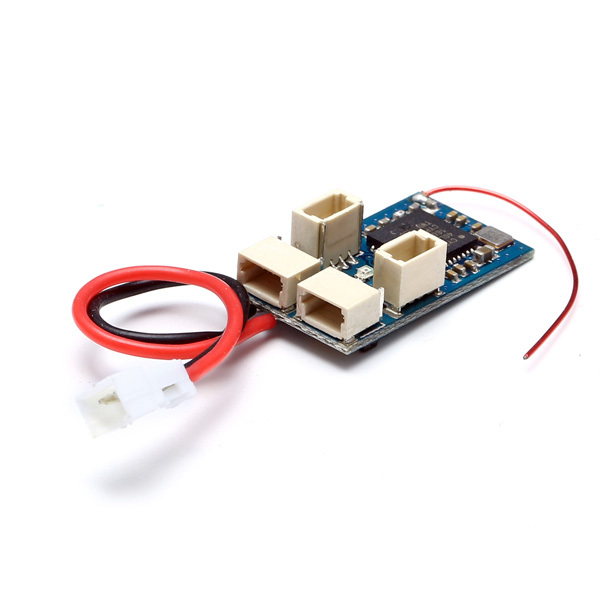 No suitable for conventional wide voltage servos. Reverse power supply will damage the receiver. 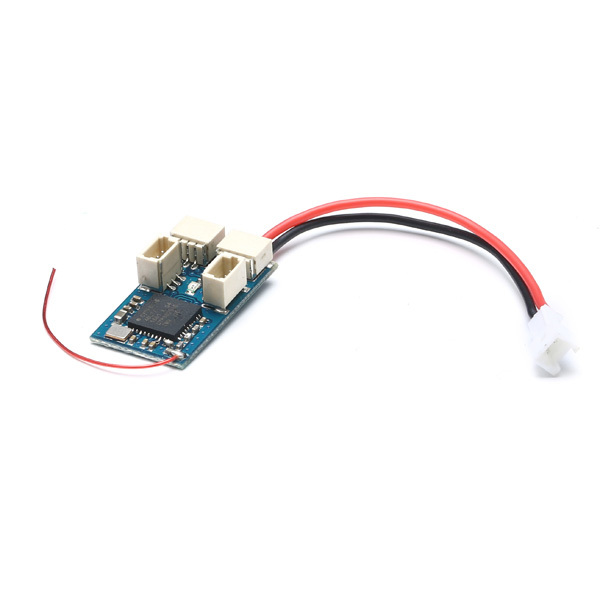 When use 1S battery, please use low voltage micro servo.